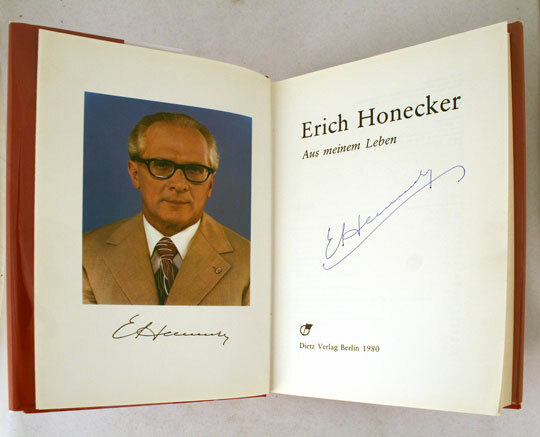 Erich Honecker’s personal papers in the Museum's collection document the last four years in the life of the Communist leader who ruled East Germany from 1971 to 1989. 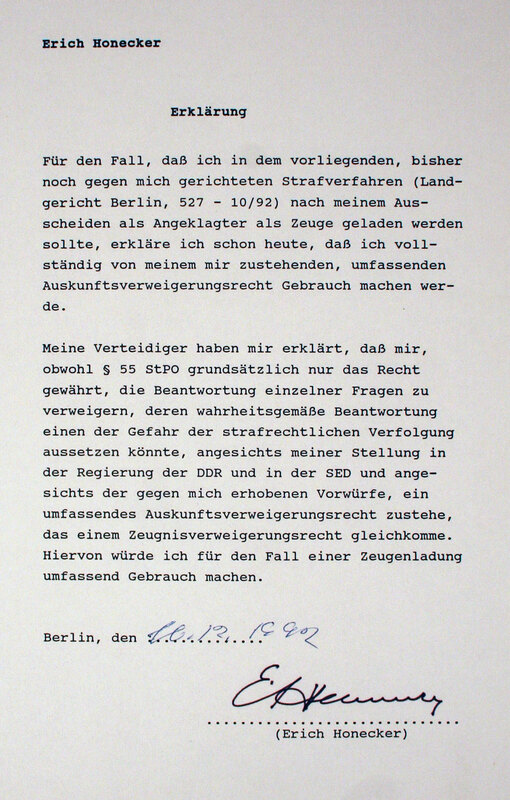 In his will, Honecker specifically requested that his personal papers be housed in a non-German institution. After the fall of the Berlin Wall, Honecker was imprisoned in Berlin’s Moabit Prison and charged with thirteen counts of manslaughter for ordering deadly force against its own citizens who were trying to flee East Germany. These orders of deadly force ultimately resulted in 350 deaths. Honecker stood trial for crimes against humanity beginning in November of 1992. The trial ended early in January 1993, due to Honecker’s failing health. Honecker died in Santiago, Chile of liver cancer in 1994. In his memoir, Moabiter Notizen (Notes from Moabit), he claimed that, “If it were up to me, East Germany would still exist.” During his trial, Honecker credited the Berlin Wall with preventing World War III. The Museum’s personal archive of Honecker includes legal correspondence from his defense lawyers regarding the trial and medical records from various doctors outlining his liver cancer. There are detailed reports of the allegations against Honecker, the individuals who filed charges, information about the appeal process and news articles with Honecker’s handwritten annotations, as well as drafts and notes for his final book, Moabiter Notizen. The Museum’s archive also includes books from Honecker’s library, which are marked with his personal stamp.